Nothing gives me more pleasure than passing on 25 years of accumulated and hard-won skills. 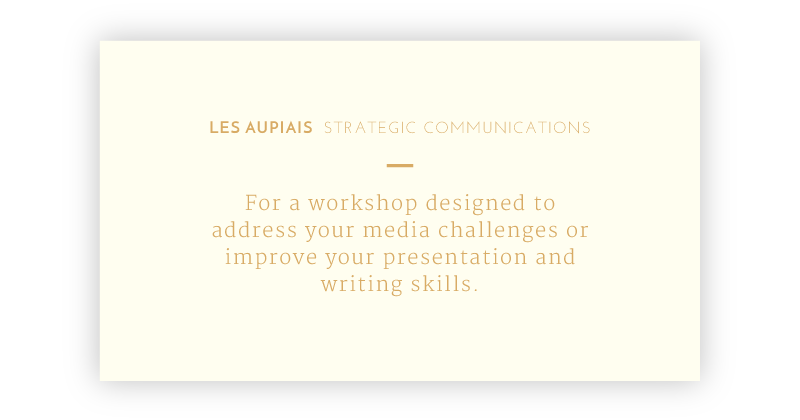 A career that spans magazines, newspapers, radio and television translates to a series of practical workshops and coaching sessions in all facets of communications including presentation skills, crisis management and creative writing largely based on personal experience. How do I teach and facilitate? With energy, a great deal of commitment to a positive outcome and with, I hope, a large dose of the medicine I dish out: be real, be honest, be warm, be original and teach like you give a damn. I do. The media landscape has changed a great deal in the past decade. Brands find themselves under social media siege and CEOs and company spokespersons face more demands on performance and the art of persuasion than simply churning out dry facts. Media workshops are designed to equip delegates to face these demands, offer practical advice and exposure in a system called ‘hot boxing’, and prove invaluable training in reputation management and in a crisis. PR company account executives may also find these workshops aid in brand building and management. Workshops in any major city in SA and Africa can be geared towards one-to-one senior executive training or in groups of up to seven delegates per day. Competition is fierce in the feature writing industry but good feature writers are a boon to an industry that by and large outsources much of the specialist writing required. A growing pool of freelance writers circles the magazine and newspaper industry. Who gets the commission and why? This feature writing workshop is aimed at improving your style and structure, helps overcome writers’ block and focuses on good interviewing techniques. The workshop also tackles the best way to pitch features to the industry. Writers new to the freelance pool, existing full time feature writers, and seasoned writers looking to tighten up their skills set, will benefit greatly from this course. The courses are held in Johannesburg and Cape Town with a maximum of six delegates per six-week course with on-line follow-up support. Modules are divided into an initial one day session, followed by a half-day session and on-line support thereafter. Anxiety, poor preparation, information over-load, misjudging an audience… these are just some of the factors that lead to poor presentation skills. Failing to master even the most basic principles of good presentation can be career damaging and result in loss of self esteem. This series of presentation skills workshops is designed to teach vital skills to delegates in various tiers of a company: workshops may be part of an induction system for new employees geared to middle managers who present ideas and concepts to senior staff or to top management who regularly face company excos and boards. Workshops can also be designed to assist sportsmen and women improve their television and radio interview skills. Aimed at senior executives who may require a combination of skills upgrading from speech writing and delivery to presenting and media interaction, this course is a highly focused master class divided into three-hour modules. The coaching takes place at the delegate’s head office in order to maximise usage of time and minimise inconvenience to the executive’s schedule. The course is designed around a delegate’s individual challenges and requires a detailed brief before embarking on the bespoke course. I recently read an article that described nine different editor personalities. Les didn't fit one of them, because she simply can't be typecast. Her instinct for a great story, together with her masterful manipulation of words, is beyond comparison and has been a source of inspiration to me for close to a decade. Les's insightful guidance and clever, yet cautious, edits have helped me grow as a writer and editor, for which I will always be grateful. Our colleague Les Aupiais is a women amongst women. She is supremely competent, a driver, an achiever, an author, a facilitator par excellence. 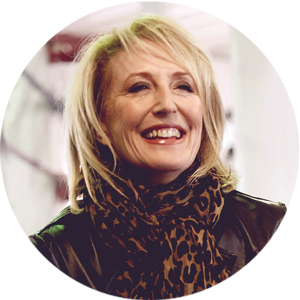 As a faculty member of the Dr Renate Volpe Leadership Consulting group she has addressed top women in business for over a decade leaving them engaged and impressed with her views, her ability to transfer her skills and her passion in doing so. Your support and guidance on both a business and personal level through this event has been incredible. The superb advice and quick responses were invaluable in helping to resolve our situation. Knowing you were by our side and with us step by step put us at ease from the start and we could not have journeyed on without you. To book a media training workshop or course, please complete the booking form here and I will get back to you as soon as possible. Click to download CV & photos.